Are you ready for adventure? 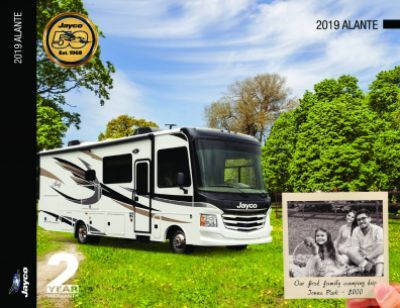 Take to the road with the 2018 Jayco Alante 29S! This outstanding Gas Class A Motorhome was made for the long haul. You can find this quality RV and other top brand models at National RV Detroit, the Detroit area's premier RV dealership! We've been offering top RV brands at wholesale prices since 2008! You can visit our lot at 44700 N I 94 Service Dr Belleville Michigan 48111, or have us bring this RV right to your doorstep with our 24/7 nationwide delivery service! Give us a call at 734-439-3400 to start your RV lifestyle today! With a GVWR of 18000 lbs. and a hitch weight of 5000 lbs, this Gas Class A Motorhome is ready for long-distance trips! The easy open 13' 0" patio awning will help your family enjoy shade and comfort whenever they're lounging outdoors! There's room for your whole family to enjoy indoor living comfort in this spacious Gas Class A Motorhome! It's a generous 31' 4" long and 8' 5" wide, with 1 slideouts that maximize the interior area! With the modern, efficient 31000 BTU furnace and 22000 BTU a/c unit, you'll stay comfortable inside even when the weather outside isn't cooperating! 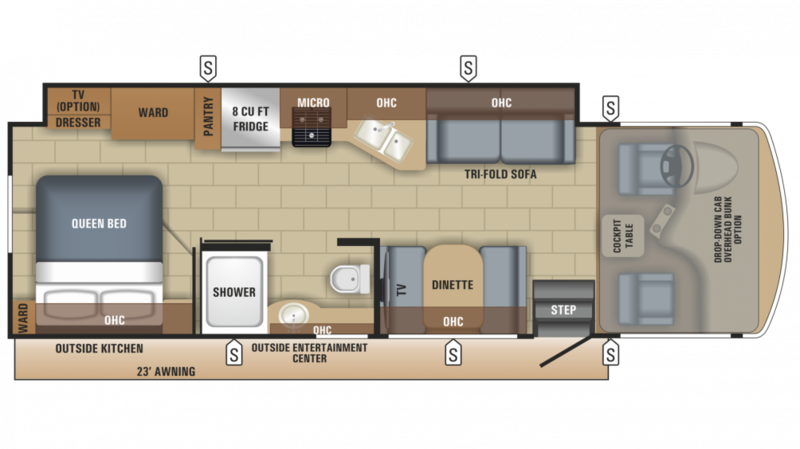 The 2018 Jayco Alante 29S sleeps up to 8 people very comfortably, thanks in part to the roomy master bedroom it features. This beautiful accommodation has ample clothes storage as well as a regal Queen bed for a deep, restful night's sleep! If the weather is gorgeous and the family is having a great time outdoors, don't miss any of the fun at mealtime! Thanks to the outdoor kitchen, you'll make tasty breakfasts, lunches, and dinners and still enjoy your time with the family in the sunshine and fresh air!